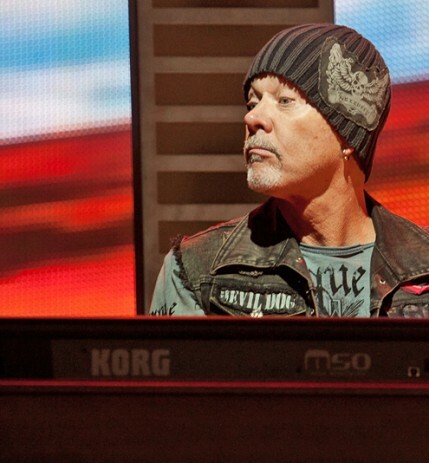 Neal was a founding member of REO Speedwagon, the only one still in the current line-up. 157 Riverside Avenue, the oldest track still in the REO live set, owes a great deal to Neal’s virtuoso improvisation, whereas on Ridin The Storm Out (1973), Neal introduced the classic Minimoog synthesizer sound to REO’s line up. Neal also wrote Sky Blues from 1973, and more recently, One Lonely Night from 1984 and Variety Tonight from 1987, from the album Life As We Know It, which also features an electronic sax solo played on an Emulator digital sampling keyboard.